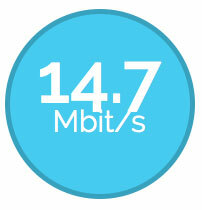 Get up to speed on 4G coverage near you. With 4G, users can expect 12-15Mb/s as an average, but in good coverage areas at certain times some carriers are suggesting download speeds could reach 60Mb/s. In theory, the capabilities of the 4G network could soon go beyond 100Mb/s. Looking for the best phone signal in your area? 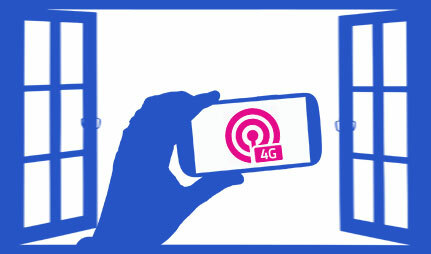 4G is all about speed, and you'll need a strong signal to make sure you can stream your favourite videos, cement your place as an insta-celebrity or listen to hours of uninterrupted music. 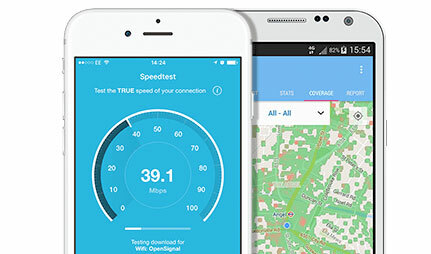 In the years since its launch, 4G has grown to 90% coverage in the UK, offering typical speeds of around 7.5 Megabits per second (Mbps) – five times faster than the average 3G connection of 1.5Mbps. 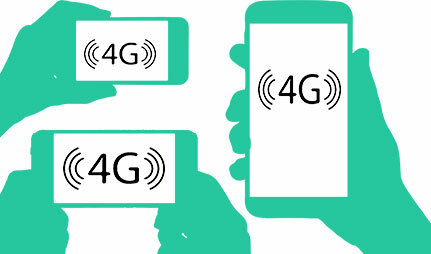 You can find out all about the nuts and bolts of 4G in our guide to 4G if you'd like to know more. 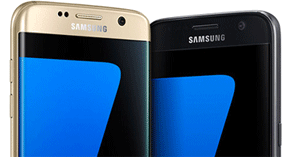 All the major networks offer 4G coverage. EE is the longest-established, with 4G covering over 80% of the UK geography and 99% of the UK population.while providing data coverage for a number of other networks such as Virgin Media and Life Mobile. But they're not the only option for 4G – Vodafone and O2 are among the others who have rolled out their own networks, providing more choice and stronger coverage around the UK. How does it work? It's simple – green patches have a stronger signal, red areas are weaker. You can compare different networks in specific areas, or look at the relative strengths and weaknesses in network coverage of one particular provider by using the menu at the bottom right of the map. 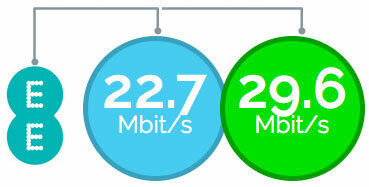 Select the advanced view to see upload and download speeds, signal strength, and reliability. You can also use the search bar to find the best mobile coverage by postcode. 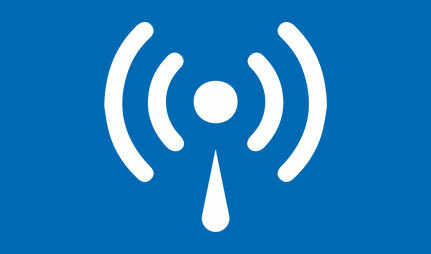 Our mobile reception map is driven by OpenSignal, a fantastic app for checking mobile and Wi-Fi coverage on the go. The map doesn't lie – but everyone knows the pain of those annoying signal black spots in areas that otherwise have great coverage, particularly when you're indoors. Yes, really – if you're indoors, opening the window can help you get a stronger signal. Walls, insulation and just about any other physical barrier can block signals from network towers, so creating some gaps in those barriers really does make a difference. Another simple one – holding your phone higher in the air actually does work. Go upstairs (and open all the windows), head uphill, stand on something tall – whatever it takes. The higher you are, the less physical obstructions to your signal. Your phone receives a 4G signal by connecting to a nearby mast – but it doesn't always automatically connect to the nearest one, or shift from mast to mast as you move around. Fortunately, there's a way round this. Apps like OpenSignal help you find the mast you're connected to so you can move closer for a stronger signal. Alternatively, you can reset your phone (or switch it to flight mode and back again) to re-connect to a closer one. There are also apps like Signal Booster that do the whole thing automatically, although they don't offer as much flexibility. Finally, the jury's still out on whether this one effects every phone or just certain iPhones, but every little helps – holding your phone a certain way can reduce your signal. The infamous 'Grip of Death' is when too much of the palm and heel of your hand is in contact with the phone, covering the antenna – so try a lighter touch.